How can American manufacturers become “Greener”? Going “Green” is not only the right thing to do but it also makes practical business sense. Below are seven proactive ways that USA manufacturers are becoming better environmental stewards while operating more cost effectively. American manufacturers looking to improve energy efficiency while becoming more environmentally responsible are installing solar panel systems on the roofs of their buildings. In many cases, traditional electric consumption decreases by 40% to 100% depending on the size of the system following a solar panel installation. The investment also makes a manufacturer more self-sufficient and less reliant on external sources of power. Replacing inefficient lighting systems with energy efficient lighting is an excellent way to reduce energy consumption. High efficiency bulbs and ballasts can save companies 30% or more on energy costs. What would your company save annually with energy efficient lighting? Reducing paper usage and consumption saves trees and money. In many cases, such as in the Health and Finance industries, digital files of paper are also necessary to keep on file for legal reasons and are redundant to paper copies. Imagine how much paper could be saved if all manufacturers were able to reduce consumption by just 10%? Companies are also encouraged to recycle all paper by installing recycling stations in their buildings. Manufacturers who use raw materials made from recycled content begin the manufacturing process with “greener” inputs and end up with a “greener” product. High quality recycled materials are available in almost any industry and are an important way to conserve energy and incorporate recycling into a product’s life cycle. Ask suppliers about the source of your materials and consider purchasing from those who supply recycled content. 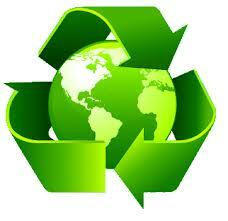 Environmental conservation includes making products that may eventually (at the end of their use) be recycled. Fortunately, every Glaro Inc. product, for example, may be recycled and used again. That is because they are purposely constructed of high quality all metal materials that can be melted down, remanufactured, and reused. Other methods include recycling manufacturing by-products and waste, reducing usage of items whenever possible, and evaluating manufacturing methods throughout your operation. There are many more.